An innovative new network for men has launched in Southport. Identity Dads brings together dads, grandads and male carers through a combination of local meetings, social media and blogs. The group was founded by Richard Owens, a local dad of four who saw the need for a space where men could connect with one another and learn from each other. 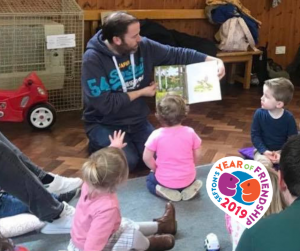 Their first playgroup was a resounding success, bringing new Dads together to share parenting tips and make new friends which is very fitting to Sefton’s Year of Friendship. The next playgroup will be held at St Peter’s Centre in Birkdale on Saturday, 13 April at 9.30am. In addition to Saturday morning playgroups, Identity Dads has also lined up a Curry Night and a picnic in April. Check Facebook to find out more about these events. To find out more about Identity Dads and how you can get involved visit http://www.identitydads.org/ or follow them on Facebook and Twitter.